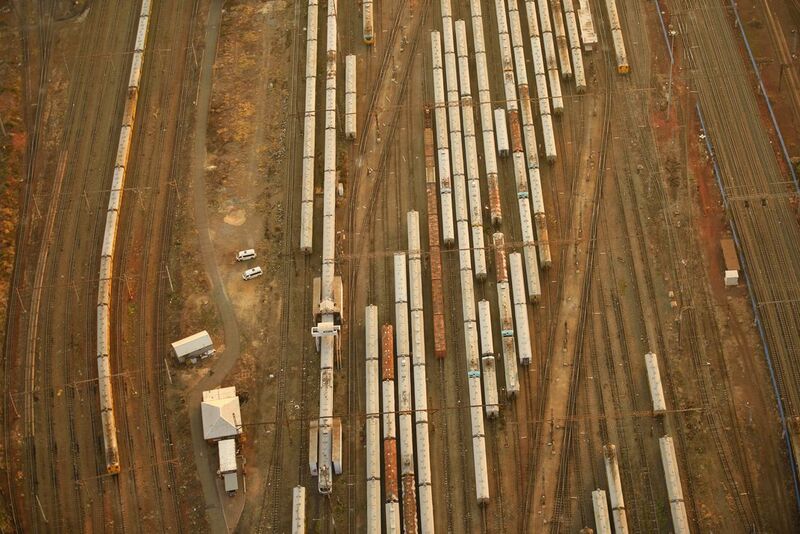 Johannesburg's old train stain from above, South Africa. Aerial image (photographed from a plane at sunset). Date Uploaded: April 20, 2018, 2:15 a.m.